How about wearing these funny shoes to your wedding? 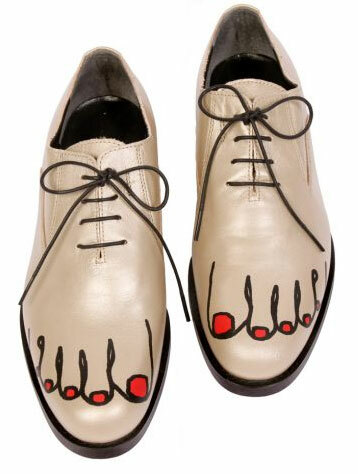 I don’t know who would put on these Comme des Garcons shoes, but there are probably some people already wearing them. The price is ridiculous high (over 700$) for these silly shoes. And what man has his nail painted in red? I don’t even want to know that.